That’s according to a Justice Department official familiar with a Wednesday call between Barr and Rep. Jerrold Nadler, the New York Democrat who runs the committee. 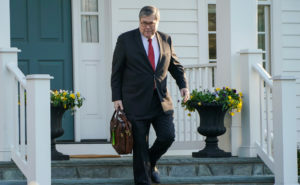 Democrats are anxious to hear from Barr about special counsel Robert Mueller’s Russia investigation report. They want to see the full report and the evidence that goes with it. Barr told Nadler on the call that the report is more than 300 pages.